I was looking for a trim for this simple skirt I made for Maressa yesterday and came across some lovely colors of lace that were given to me I believe. The blue went perfect and thought what a simple little girly touch it would add. Adding lace trim to your hem is super super simple. Same process as adding the rick rack trim. 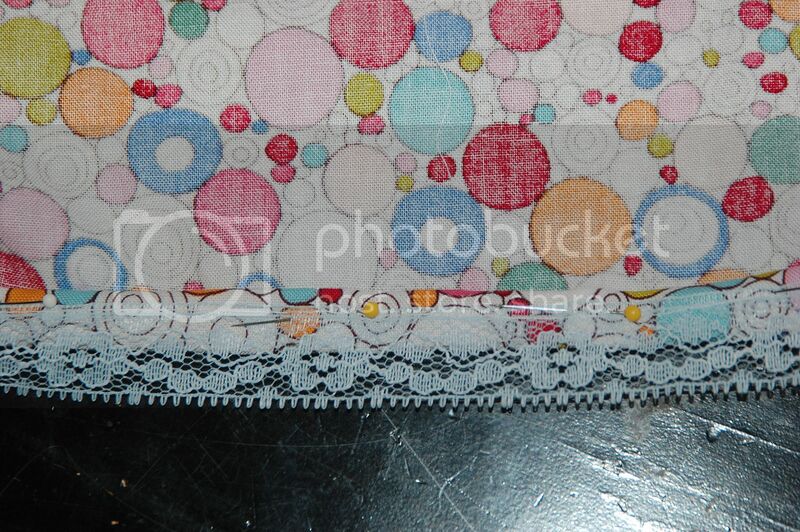 Before hemming your skirt pin your lace 1" up from the edge on the RIGHT side of your fabric. Be sure that the part of the lace you want to show is the furthest away from the edge...see that looped edge will be the part sticking out of my hem. 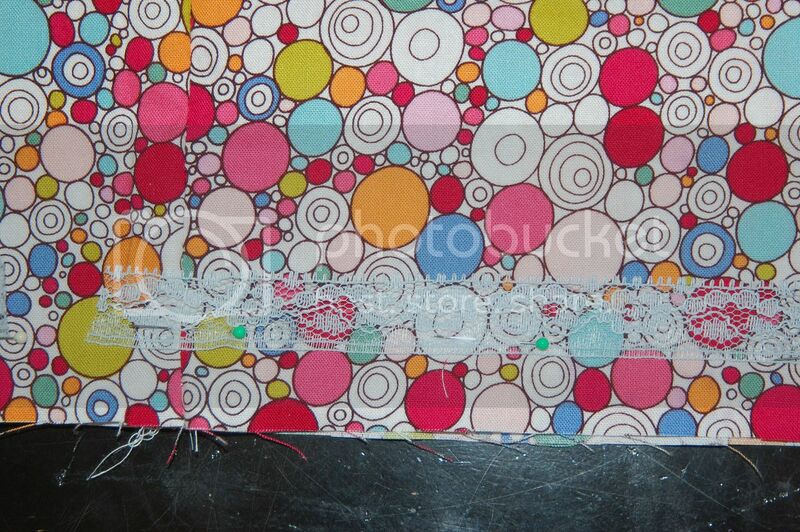 Sew along the bottom edge of the lace. Now turn your fabric to the wrong side and pin your hem up as you would normally. The top of the lace should be about halfway through your hem. Now sew down your hem as you would any hem. And this is what it look like when you are finished. 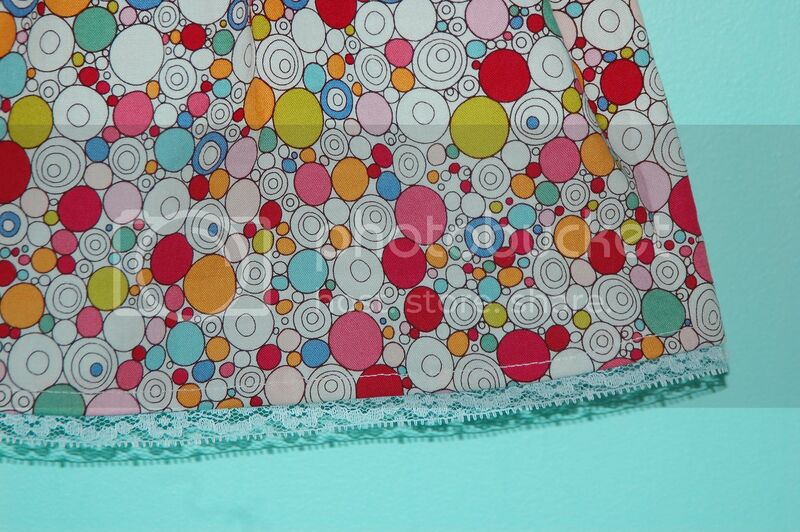 The lace trim would be adorable on any simple skirt, twirly skirt, tshirt dress or even a cute pair of capris. I will definitely be making some capris with lace trim for my littlest one! 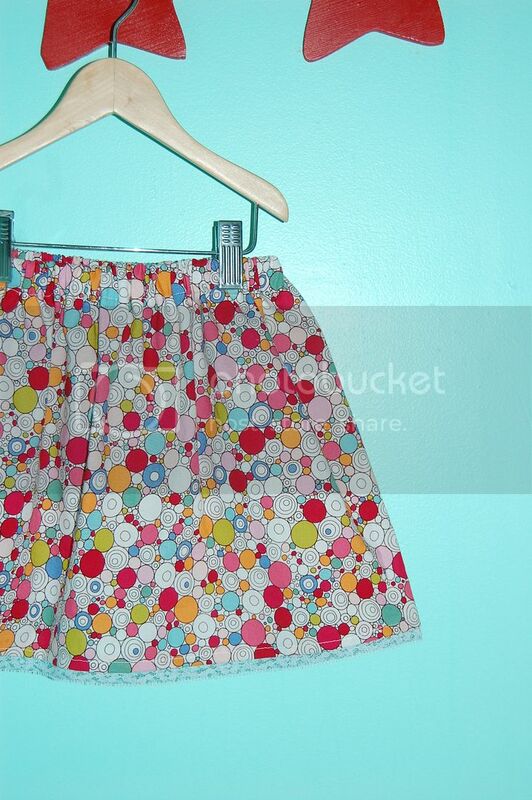 Maressa just loved this little skirt!! Adorable!! I think I've got some lace around here somewhere. I'll have to give this a try! love it! did you use a pattern, or did you just wing it? Great tutorial! That little bit of lace really finishes off the bottom of the skirt! 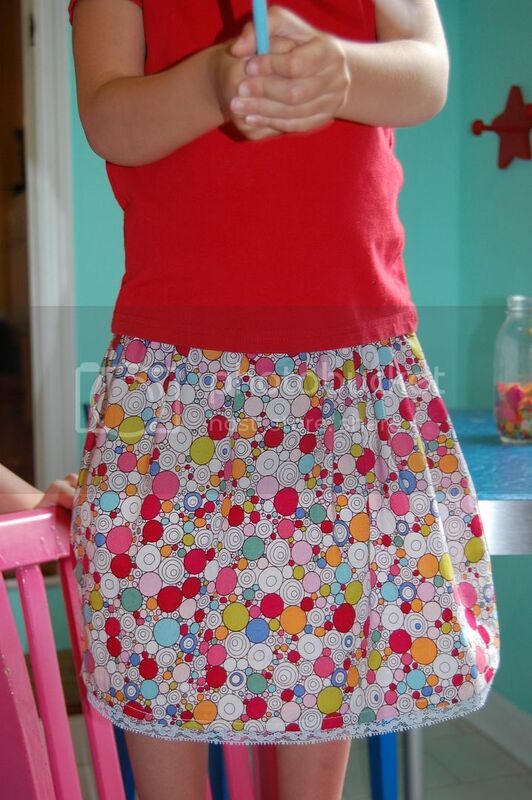 I never thought of adding trim this way, I love to add ribbon and lace to my girls skirts, thank you for sharing! The material is fabulous!! This is a great way to get girly!!! thanks for stopping by! i would love to hear what you have to say!